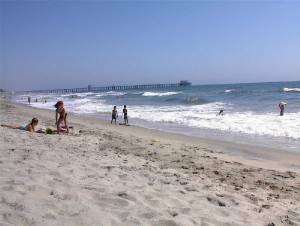 We have two beach homes and we want to share them with you! 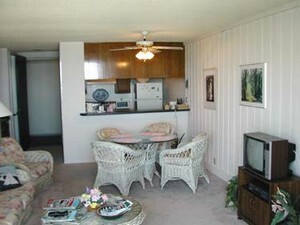 The two-bedroom is www....com/633 and the one-bedroom is www.tropicrentals.com/589. 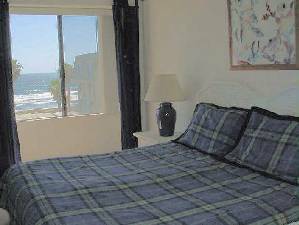 You have a gorgeous, direct ocean and sunset view from your living room and bedroom. 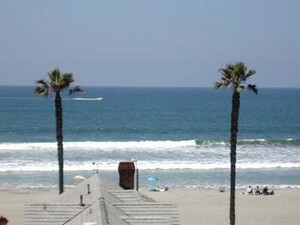 You have about 100 steps to the beautiful Oceanside beach and your balcony is directly over the pool and spa. 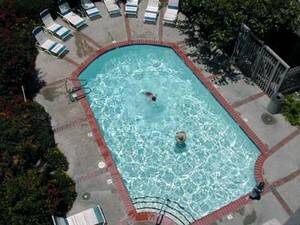 After the trip to the beach, your family will enjoy the heated pool and the spacious spa in the complex. 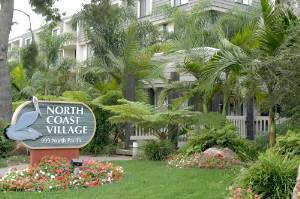 Your evenings will include strolls along the miles of sandy beach, playing pool in the North Coast Village recreation facility or browsing the harbor shops. Enjoy all the comforts of home with a fully-equipped kitchen, cable TV/VCR, library, linens and utensils, as well as a cozy fireplace. During your stay, you will be provided reserved, underground parking for your car. Recreation Room...Putting Green..Waterfall..Beautiful grounds...Walking distance to train for San Diego and Los Angeles. Marina, Pier, Restaurants, Theatre, Shops, withing walking distance. Our family loved staying here! 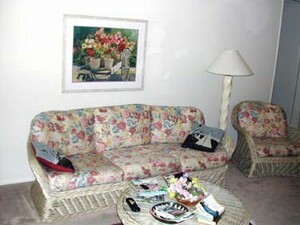 It is clean, well kept and best of all, steps away from the beach. The owners were very kind to us and we would recomend them to anyone. We recomend staying the week of July 4- you'll have the best seats in the house for the fireworks. Weekly rate: September through May, $1095 per week. 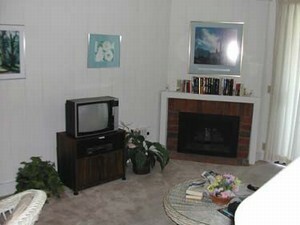 Weekly rate: June through August, $1595 per week-one-bedroom..$1995 per week-two bedroom. Cancellations and Refunds: If time to re-rent.